A dental emergency is a very frightening experience. Often, many do not know how to react. However, how you respond during a dental emergency plays a significant role in the outcome of the situation. Since dental emergencies can take various forms and happen without any warning, we have the information you need to know to address the most common dental emergencies. Should an emergency happen, Dr. Gupta offers emergency care to treat your dental emergency in Lancaster. Among the most common dental emergencies involves having a tooth knocked out due to injury or trauma to the mouth. This is often the most frightening emergency as well. If you have a tooth knocked out, the first thing you need to do is calm down and call our office right away. Then, hold the tooth by the crown and carefully rinse the tooth with water. Do not rub the tooth or use any soaps or cleaners. Try to reinsert the tooth back into the socket. If that is not possible, the next best thing is to keep the tooth moist by placing it in a cup of milk. If you receive treatment quickly and the tooth is not severely damaged, Dr. Gupta may be able to reinsert the tooth, allowing it to survive. In some cases, a tooth may not be fully knocked out, but instead knocked out of its normal position. If this occurs, gently try to push the tooth back into its correct position but do not force it. 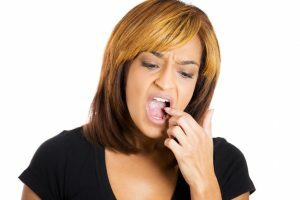 Then, bite down on a piece of gauze to prevent the tooth from moving and call our office for treatment. A broken tooth can take various forms and range in severity. If you have broken a tooth, you need to rinse your mouth with warm water and apply a cold compress to help minimize swelling. You can use ibuprofen to help relieve any pain and then call our office right away. For minor fractures or breaks, you will not require treatment immediately but you will need to schedule an appointment. Often, Dr. Gupta is able to restore the tooth with a minor procedure. For more severe fractures and breaks, this will require immediate care. If the break extends deep into the enamel, dentin, or pulp, you are likely to need a restorative crown to protect the tooth from damage while restoring its function. Dr. Gupta provides the necessary services to treat dental emergencies quickly and effectively. As an emergency dentist in Lancaster, Dr. Gupta will evaluate the damage to perform the necessary procedures to save a tooth from extraction. Since dental emergencies are quite traumatic and stressful, Dr. Gupta offers sedation to help ease your nerves while undergoing treatment. If you have experienced a dental emergency, do not delay treatment. The sooner you receive care, the more promising the long-term outcome. If you are in need of an emergency dentist, choose a dentist who cares. Contact Dr. Gupta today for comprehensive care.